On Sunday night, the motion picture industry had its biggest night of the year. 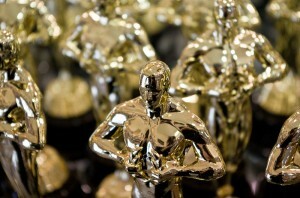 The 85th annual Academy Awards were handed out. They are also known as “The Oscars.” The show is seen around the world by more than a billion people. The show was hosted by Seth MacFarlane, who is known for creating and doing the voices for the cartoon series Family Guy. Oscars are awards given to the best filmmakers including the best director, actress and actor and the best in other areas of the industry such as special effects creator and costume designer. The biggest award is always saved for last: Best Picture. This year it went to the film Argo. The film Life of Pi won four Oscars, including for Best Director. Ang Lee directed the film, which is about a boy’s journey to safety in a lifeboat which also has a tiger on board. Actor Daniel Day-Lewis made history by winning his third Best Actor Oscar, this time for his role as a former U.S. president in the film Lincoln. He now has been awarded the most Best Actor Oscars by any one person. Jennifer Lawrence won Best Actress for her role in Silver Linings Playbook. As she walked up the stairs to the stage to receive her award, she tripped on her dress. The audience gave her a standing ovation, but she joked that they were only doing it because they felt sorry for her because she’d tripped. Early in the Oscar show Star Trek’s Captain Kirk—in real life actor William Shatner—made an appearance “from the future,” he said. Kirk told the host, MacFarlane, that he had done a terrible job as host and he needed to make some changes. He pretended to show MacFarlane where he’d gone wrong and helped him insert some song-and-dance numbers to make the show better. Two highlights of the show happened when singer Adele performed the song “Skyfall” and when Barbra Streisand performed the song “The Way We Were.” Another highlight was when American First Lady (wife of the President) Michelle Obama handed out the Best Picture award via satellite. It’s a big deal to win an Oscar. Not only is it a prestigious award, but the winners tend to do much better at the box office. Oscar-winning actors, for instance, can usually command higher salaries. The other thing about the Oscars is the fashion. Before and after the Oscars, there are many TV shows talking about who was the best-dressed and even who was the worst-dressed. The Academy Awards recognize many of the people that help to make a story come to life through the movies. Some of these people include: directors, actors, actresses, writers, costume designers, composers and editors. Think of a few of your favourite movies. Why are they your favourites? What, in your opinion, makes a good movie? The movie that won for Best Picture is a movie (for adults) called Argo. Argo is the true story of Americans who were rescued in Iran. Some people believe that Argo is only told from an American point-of-view and it doesn’t include Canada’s role in the real-life situation. When filmmakers are making a movie of a true story, do you think they should have to include all points of view? Why or why not? Nouns – people, places and things – are written throughout this article. Some nouns are capitalized and some are written with lower-case letters. Circle all of the nouns that are capitalized. Why do you think they begin with capital letters?